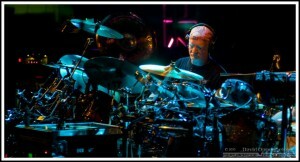 BILL KREUTZMANN. GRATEFUL DEAD DRUMMER!!! One of the most technical and influential drummers in the world of rock is part of the dynamic duo called: THE RHYTHM DEVILS (Mickey Hart being the other half) was the first drummer to become a member of the Grateful Dead. He has performed with this hard rocking touring group for over 50 years. He is a somewhat quite person and many people do not realize the great contribution he has given to music over these 5 decades and he is still going strong. In his youth, he wanted to play drums and in fact his music teacher actually threw him out telling him he was unable to keep a beat. Determination and hard work certainly proved this teacher wrong. If you have a calling sometimes the nay Sayers are not always correct. Bill took lessens from another teacher and he kept time with his mother when she was choreographing dance routines. You know the rest. 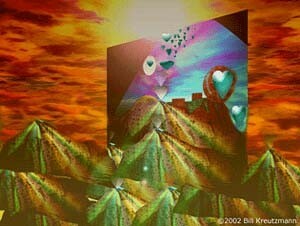 Bill Kreutzmann is also well known for his wonderful paintings and uses digital compositions in his art. In addition, like Jerry Garcia he has great love for the oceans. He has also authored an autobiography called “Deal”…definitely worth a read. He has had solo projects namely 7 Walkers as well as Billy and the Kids. I have enjoyed so many different kinds of entertainment over the years at the Mann. It is just a wonderful venue to spend an evening meeting and greeting everyone. 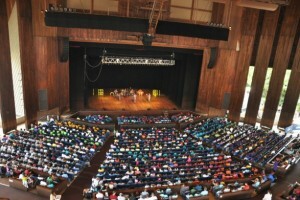 I always feel excited and relaxed at the same time…there is something so special at the Mann. The Mann Center for the Performing Arts located in the Centennial District of Philadelphia’s West Fairmount Park, founded in 1935 as the summer home for the Philadelphia Orchestra. It has since hosted numerous world-class artists and touring companies just to name a few: The American Ballet Theatre, Marian Anderson, Leonard Bernstein, Buena Vista Social Club, Ray Charles, Judy Garland, the Metropolitan Opera, Mormon Tabernacle Choir, Paul Robeson, Itzhak Perlman, Lang Lang, Midori, and Yo-Yo Ma. Major Philadelphia premieres have included the Israel Philharmonic Orchestra, Bolshoi Ballet and Orchestra’s production of Spartacus, and Britain’s Royal Ballet’s productions of Romeo and Juliet and Swan Lake. Among the scores of award-winning popular artists presented by the Mann in recent years are Jack Johnson, Ed Sheeran, Phish, Tony Bennett, Mary J. Blige, Roger Daltrey, Bob Dylan, Furthur, Arcade Fire, Aretha Franklin, Herbie Hancock, Norah Jones, Diana Krall, Wynton Marsalis, Willie Nelson, Smokey Robinson, Jill Scott, James Taylor, Damien Rice, Alabama Shakes, Bon Iver, Lana Del Rey, The National, and Stevie Ray Vaughan. 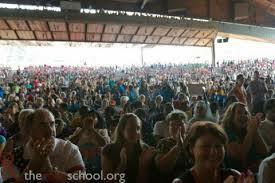 In 2010, 2011 & 2014, the Mann was nominated by Pollstar, as “Best Major Outdoor Concert Venue” in North America. If you are planning to spend a day at the Mann, be sure to come prepared. I have brought my lunch and had a picnic under some of the shade trees. It is on the list of the top things to do when in the Philadelphia area…also included should be a visit to Woodstock Trading Company either before of after an event at the Mann…Mom says bring in your ticket stub within that week and get a 10% discount store wide…However she will make you talk about your experience…be prepared to chat!!! On June 28th & 29. Going to the Phish Concert…stop by Woodstock Trading Company during this week…show us your ticket and we will give you a 10% discount store wide!! 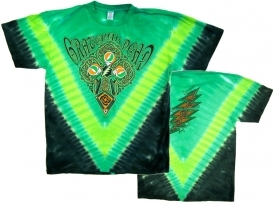 Grateful Dead Jerry Garcia St. Patrick’s Day Short Sleeve Shirt. 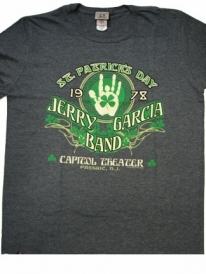 This design commemorates Jerry’s show at the Capitol Theatre in Passaic, NJ on March 17, 1978. Grateful Dead Celtic Cross V Tie Dye Short Sleeve Tee Shirt primarily in shades of green has Grateful Dead written out above a clover like psychedelic design. With in the clover pattern there are little Irish flags with bolts for the white bar in the stealies along with the iconic 13 point dead symbolic of the Dead. Very popular with our Deadheads for St. Patric’s Day. 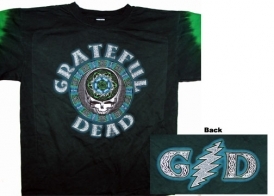 Grateful Dead Celtic Steal Your Face Tie Dye Short Sleeve Tee Shirt. Don’t forget your favorite Grateful Dead Pint Glass. 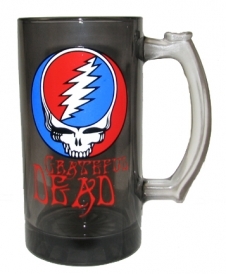 Grateful Dead Steal Your Face 16 Ounce Mug. A nice smokey color glass for your favorite beverage. Hand wash only. Mom & Seth hope to see you sometime this summer in Camden!!! Drop in to Woodstock Trading Company before or after the show…show us your tickets on tour dates and get a 10% discount store wide and a FREE sample of incense. June 9 – Bonnaroo, Manchester, Tenn.
June 10 – PNC Music Pavilion, Charlotte, N.C.
June 17 – Klipsch Music Center, Noblesville, Ind. June 20 – BB&T Pavilion, Camden, N.J.
June 21 – Saratoga Performing Arts Center, Saratoga Spring, N.Y.
June 23 – Jiffy Lube Live, Bristow, Va.
June 25-26 – Citi Field, Flushing, N.Y.
June 28 – Xfinity Theatre, Hartford, Conn.
July 2-3 – Folsom Field, Boulder, Colo.
July 7 – DTE Energy Music Theatre, Detroit, Mich.
July 9-10 – Alpine Valley Music Theatre, East Troy, Wis.
July 13 – First Niagara Pavilion, Pittsburgh, Pa.
July 15-16 – Fenway Park, Boston, Mass. February 12, 1972 was the date of the album release of EAT A PEACH. 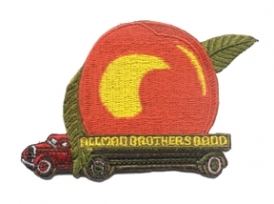 This was the third studio album of the Allman Brothers Band. Great classics like “Melissa”, “Ain’t Wastin’ Time No More,” This was the final record to include Duane Allman, who died in a motorcycle accident. He was 24 years old. Butch Trucks, in response the title that came from the Allman’s answer to an interviewer’s question “How are you helping the revolution?”. Butch replied “There ain’t no revolution, only evolution but every time I’m in Georgia I eat a peach’ for peace”. Butch Trucks is uncle to guitarist Derek Trucks. Derek who is front man and bandleader of The Trucks Band and joined the Allman Brothers Band in 1999. Derek’s younger brother Duane Trucks is currently playing drums for Widespread Panic. “Wedding Cake” beads, so called because of the fancy designs on the bead made to look like icing. Originally these beautiful ornate glass lamp worked beads were made in Italy. East Indian Glass artists adopted the designs with a less expensive version that was the work of the Murano glassblowers. These beads vary in color, shape and size with the overlay of “icing”. 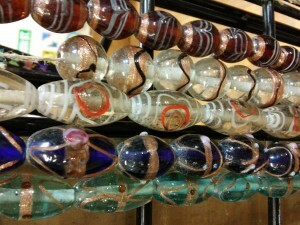 They make attractive focal beads for jewelry. Dr. Bronner a famous name in natural personal care products including, liquid soaps, bar soaps, lip balms and many other items. The products date back 5 generations to 1858. Emil Bronner, born 1908, never received a doctorate; it was common practice to adopt an honorable title of doctor in Europe. It was bestowed on those of outstanding knowledge of science and the arts. Emil Bronner born in Germany emigrated to the US in 1929, leaving his family. They refused to join him and were killed by the Nazis during WWII. Famous for “castile” soap the base of which is olive oil, branching out into many other pure natural skin care products. The product labels have not been changed except when required by the government. If you have a chance, please take the opportunity to read these fascinating labels, since they do spell out the legacy and thoughts of Dr. Bronner. 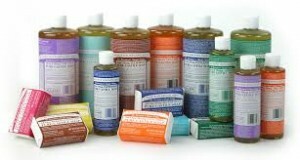 Many consider Dr. Bronner’s to be the best on the market and sold by select stores. I have spent many wonderful moments at the Keswick Theatre over several decades and I have always felt it was such a great venue to see a variety of entertainment. The size of the theatre and the acoustics is wonderful for the kind of diversified venues that have appeared and for those to come. The Keswick first opened on Christmas Night 1928 and was given National recognition as being comfortable, acoustically perfect. The architect also created the most wonderful Philadelphia Museum of Art. In 1955, the Keswick was remodeled into a cinemascope film house and hosted premier releases. 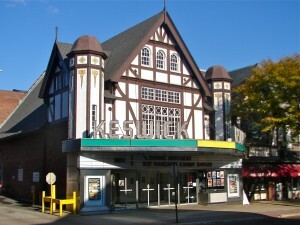 In 1980 the Keswick was to be demolished and was saved by The Landmarks Society with the hope for restoring the facility to open as a performing arts center. In 1981 the Keswick reopened and has hosted prestigious artists as Roberta Peters, Buddy Rich, Lionel Hapmton. The Keswick was then placed on the National Register of Historic Places. The Keswick closed in 1985 because the Non-profit could not meet the expenses. 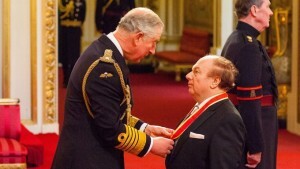 With the Knighting of Van Morrison, I became curious as to other Rock stars who have had a similar honor. 51 years ago the Beatles became the first rock stars to receive royal honors and then six more Rockers earned the title of Sir. They are: Sir Paul McCartney, Sir Mick Jagger, Sir Cliff Richard, Sir Tom Jones, Sir Elton John and then Sir George Ivan Morrison. Receiving the title of Knight is the highest honor, however, there are lesser honors and this year about 1000 received this lesser honor. Among the lesser honors are: Robert Plant, Jimmy Page, Dave Gilmour, Brian May (and not the rest of Queen), Mark Knopfler, Rod Stewart, and Gordon “Sting “ Summer, just to name some. It should be noted that that David Bowie actually declined honors. Women who have been given honors are called Dames which is the highest form of title for British females. There are not many women in rock and among them are: Joan Armatrading, Kate Bush, Annie Lennex and Adele have been given lesser honors than a Dame-ship.